To be more exact we need 100 of you to volunteer at UC Open Day | Rā Tōmene, Thursday 12 July. Open Day | Rā Tōmene is our key recruitment event for future students, parents and whānau, and its success depends on staff throughout UC. Volunteering is a great opportunity to meet future students and enjoy the atmospheric buzz this event creates on campus. We need volunteers in the following roles, can you help? Supplier of smiles – you have a great smile and enjoy making people happy. We want you along our Open Day trails to warmly welcome our visitors to UC. Hand out tote bags, scan tickets, greet those coming from out of town on the free bus, and wave them goodbye at the end of the day. You take care of those all-important frontline tasks, wearing a big smile on your face. Information guru – providing help and support is your gig. 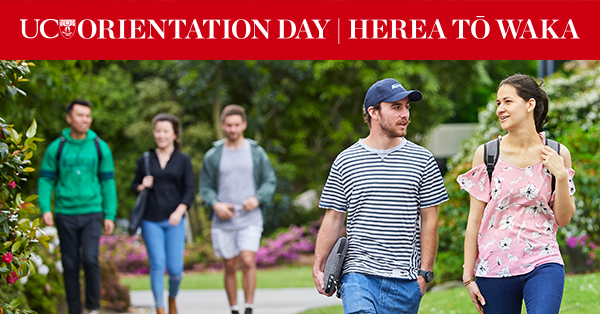 We have stations on campus just for you this Open Day | Rā Tōmene. You’ll assist visitors with any questions they have, from where to get a good coffee to what time the next info session starts. Foot traffic controller – you’re there to help people find their way. You love the buzz of people gathering, ready to learn. Every hour a new information session begins and you’ll be at the front of the line, managing the flow of people in and out of lecture theatres and helping people find the right session. Data gatherer – you’ll happily ask people what they think. iPad in hand, we need you to approach attendees with a smile to get their feedback on Open Day | Rā Tōmene. Using the pre-populated survey online, you will ensure we get the data we require to keep running successful events. We need you to take small groups of visitors on a loop of the campus, pointing out all the key buildings and facilities, especially the sparkly new ones, to help them get a feel for UC. You’ll answer questions as you go and point out where things are happening throughout the day. The day runs from 9.00am to 5.00pm and is based in the centre of the Ilam campus. Volunteers are usually scheduled for a morning or afternoon session. Register your interest by filling in the online form, but please check in with your manager first. Thanks for your support to make this event a success. Be part of the Orientation buzz and volunteer at O Day | Herea tō waka. 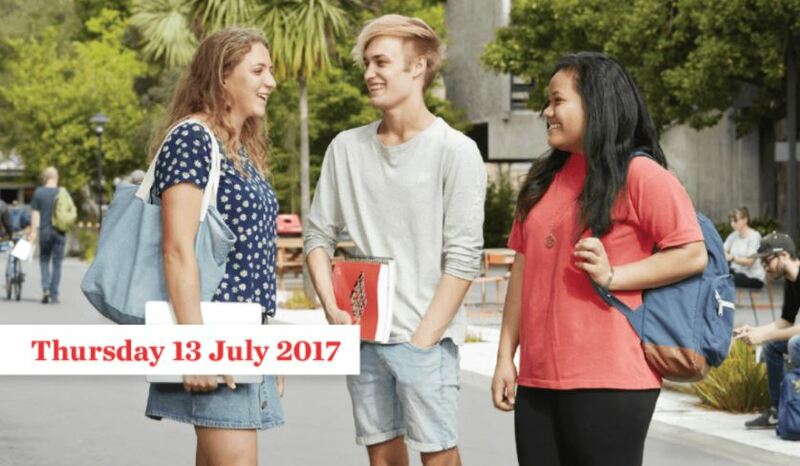 The Events and Partnerships team are looking for friendly, inviting, charismatic staff volunteers to welcome new students, families and whānau to the UC community. From Supplier of Smiles to Information Guru, there is a role for everyone. Read the role descriptions below, check in with your manager and fill in this simple form to take part in welcoming the hordes of new students to UC. You have a great smile and enjoy making people happy. showing a friendly, approachable face for our new students on their first day. Providing help and answering questions is your gig. helping attendees get to the right information session. answering questions – or directing them to where they can get answers. Volunteer now or if you have any questions email the Events and Partnerships team. Herea tō waka: The phrase ‘herea tō waka’ means ‘tie up your waka’ and is a reference to what we do when our waka (sailing vessel) comes into landing – we tie it firmly to the shore so that it doesn’t drift away. For our students and that arrive here at UC and particularly on their first day (O Day), they are metaphorically tying their waka to the shoreline that is UC to ensure their grounding here is firm. The Events and Partnerships Team is seeking volunteers to help potential students have the best Open Day experience possible. Thursday 13 July, 9am – 5pm. Volunteers are being sought in the following areas. You’ll be stationed at one of our welcome points to warmly greet our visitors to UC, hand out tote bags, scan tickets of registered attendees, welcome visitors off buses, and wave them goodbye at the end of the day. You’re confident asking people what they think. iPad in hand, we need you to confidently approach attendees and get their feedback on Open Day. Using the pre-populated survey online, you will ensure we get the data we need to run a successful event every time. If you have any questions email the Events team. The UC Student Volunteer Army will be running a volunteering event on ANZAC Day, which is open to staff, students and all members of the public. The event is at Broad Park, North Beach and will involve a variety of volunteer projects including pruning, mulch spreading, clean up and planting. Coffee and a free pancake breakfast will be available from 8.30am onwards, with volunteering kicking off at 9am. The event will finish with a community bbq. This volunteering event is part of ‘Serve for NZ: Anzac Day’, which was started by the UC Student Volunteer Army in partnership with the Returned and Services’ Association (RSA) and the University of Canterbury. The initiative was run as a pilot programme last year and this year organisers are hoping to see increases in the number of New Zealanders who ‘pledge’ to Serve for NZ this ANZAC Day.